Nurses priced out of affordable homes are risking their health driving long distances home after shifts. That was the stark warning from nurses at RCN congress in Glasgow last month. A debate on housing heard multiple examples of how nurses’ careers – and health – were being affected by a lack of affordable rented accommodation and soaring house prices. Neil Thompson, from the RCN's UK safety representatives committee, said: ‘High rents might be of no consequence if we still had acres of subsidised nursing accommodation for underpaid staff to live in. According to the Halifax House Price Index, a monthly snapshot of the UK housing market, the average UK house price for June was £216,823 – up 8.4% on the same time last year. The contrast with the £21,909 starting salary of a band 5 nurse in England and Wales (£21,692 in Northern Ireland and £22,218 in Scotland) could not be greater and means that for many, getting a mortgage is out of the question without financial help. In May, an RCN London survey revealed that 40% of nurses plan to leave the capital in the next five years because they cannot afford to stay. The RCN called on the new London mayor Sadiq Khan to deliver an action plan to support health staff to live in the capital to deliver safe patient care. James Murray, who has been appointed by Mr Khan as deputy mayor for housing, told Nursing Standard: ‘We fully understand more needs to be done to deliver the new homes that Londoners need and we have already started to work with local authorities, developers, the NHS and housing associations as well as accelerating home-building on Transport for London sites. But the problem is not confined to London. RCN Scotland director Theresa Fyffe has warned band 5 nurses will struggle to get on the housing ladder unless there is a ‘fundamental shift’ in the housing market. And nurses speaking in the RCN congress debate told of colleagues working in tourist hotspots like Cornwall trying to get on the property ladder, but they were competing with wealthy people buying second homes. Katie Sutton, a final year nursing student from the Manchester central branch, said her search for jobs was dictated by the areas she could afford to live in. ‘I shouldn’t be having to consider whether I can afford to do a job where I care for people,’ she added. Where can nurses turn for help? Financial help may be available from the government to buy a home. Schemes include the UK-wide Help to Buy ISA, where the government will top up savings by 25% (up to a maximum of £3,000). Another initiative in England and Wales is the Help to Buy equity loan scheme, where the government offers a low-interest loan (known as an equity loan) towards a deposit on a new-build home. A final option is buying shared ownership home through a housing association. The UK-wide scheme allows a person to buy a share of the property and pay rent on the rest. Different rules apply in different UK countries. Warren and Co is an independent financial and mortgage adviser for nurses and other public sector workers across the midlands and south west regions of England. Company director Julie Kennedy says uncertainty over how Brexit will affect housing prices is another source of worry for those wanting to get on the housing ladder. 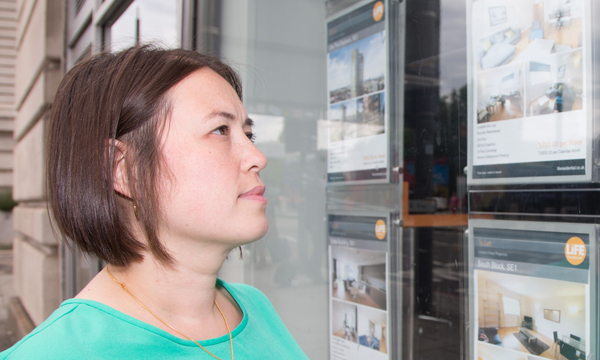 She adds that shared ownership or help to buy schemes could be a good option for nurses. ‘I say to clients that they need to do what fits their personal circumstances,’ she adds. ‘If you are in a position to buy, you should probably just go for it. There may never be a right time. For those who are not in a position to buy, many NHS organisations have their own accommodation offices which can offer advice to nurses looking for a place to live both in key worker housing and the private sectors. These include the Princess of Wales Hospital in Bridgend which offers staff accommodation for up to 90 single occupants and 15 units for couples just 20 minutes drive from Cardiff and Swansea. Matthew Harrison is chief executive of Great Places Housing Group, a housing association which offers on-site hospital accommodation for healthcare workers in the north of England. Mature student Lindsay Branch will be soon be starting as a band 5 adult nurse at Guy’s and St Thomas’ NHS Foundation Trust in London. She owns a property in Essex, but currently rents a room in Mile End, east London, for £500 a month including bills. ‘The daily commute from Essex would be too far,’ she explains.